This week was, wet, dark, and stormy. 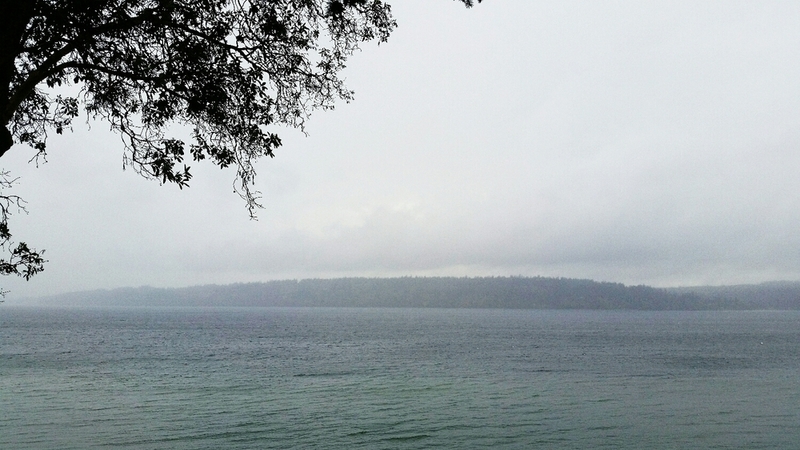 It started off with a wonderful weekend relaxing on Whidbey Island. I did lots of reading, and made a pot of spiced cider that we drink throughout the weekend. The rest of the week, with these short, dark days I found it so much harder to take photos. Back in high school and college, when all I used was an inexpensive camera to shoot black and white film, I loved taking gloomy night photos. These days I'm so afraid of a little grain or distortion, that I never take those moody photos anymore. I'll be trying to find ways to use the low light over the next months. Luckily, I did get to watch a few good sunsets from the office, and had a wonderful lunch visit from my niece (and my sister and mom!) to brighten up the gloomy week!